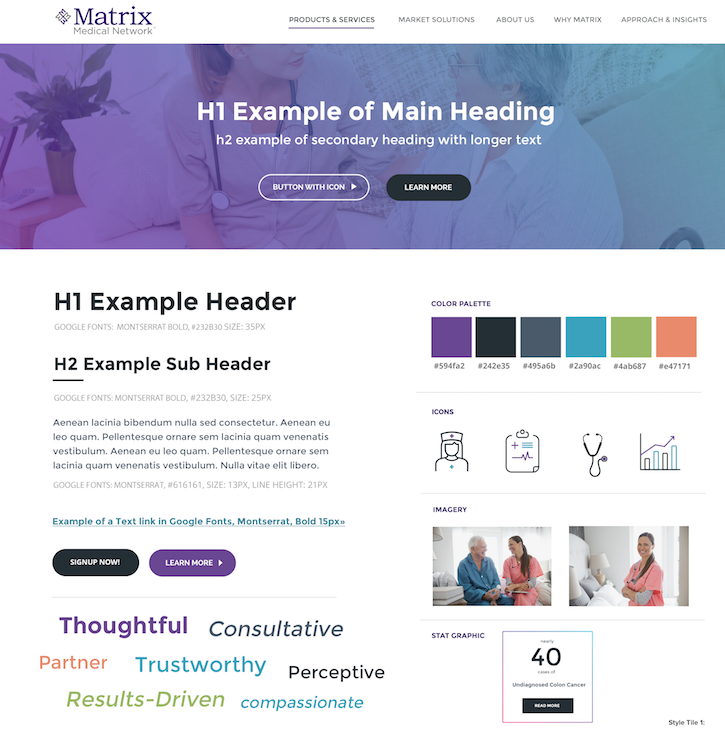 Matrix Medical Network needed a total overhaul of their B2C, member facing corporate site as well as their B2B – business facing marketing site. I did an entire rebrand starting with a marketing questionnaire and style tiles to get a better understanding of their different market needs and company goals. I then jumped into doing a user experience exercise and user journey. I created a few flow maps and finally settled on structures for the sites. From here I did the initial wireframing and after a few review cycles started designing each page from scratch in Photoshop and Sketch. Matrix was great to work with and acted as true collaborators in the creative process. They always provided all the feedback and content in a very organized and thoughtful manner and were open to pushing the boundaries of design in an otherwise traditional field of medical technology. The implementation was done in WordPress and was mostly custom based of off an existing visual composer WordPress framework. After the design and flows had run through QA and responsive testing I added in some CSS animations. 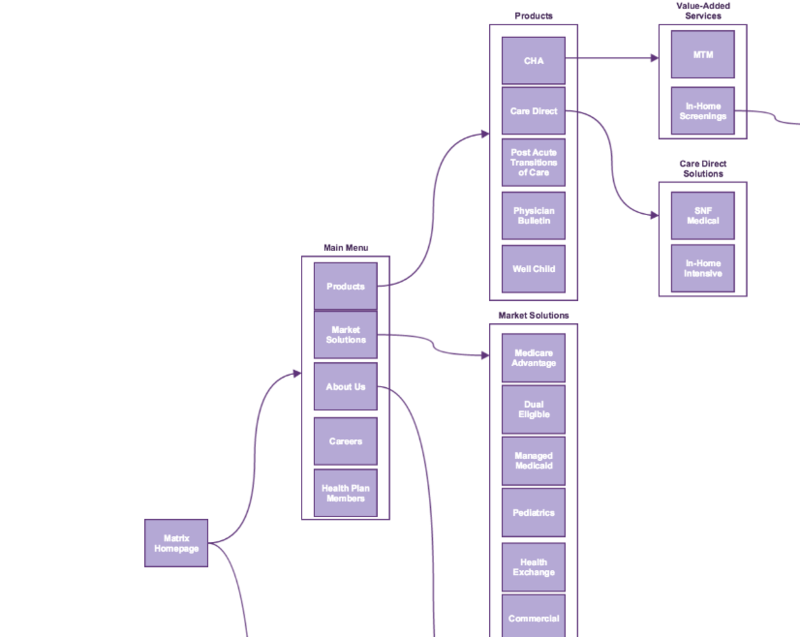 We started with a site flow to organize the page and structure of the site. This gave us a good idea of all the pages that needed to be designed and built and what pages I could create reusable templates for.